Do You Want Curry Chips With That? (with your Baked Curried Cod that is!) Serves 4-6 | Crappy Kitchen - Good Dinners! The other day a very old friend tracked me down via this blog, and since then we have exchanged a couple of emails. The kind of “old friend” I am talking about is the one you are forever bound to because you were in the same place at the same time during those precious formative years; the years where you were beginning to become the person you ultimately became (for lack of a more evolved explanation). 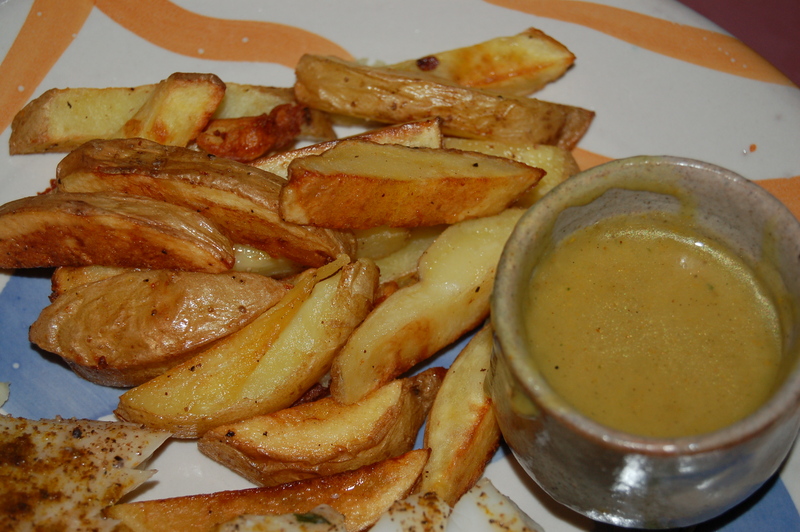 Curried Chips: the reason for this post! I met Maria when we were thirteen and we were thrown together, for better or for worse, until we were grown women of eighteen (supposedly anyway! ), and, except for a few occasions when we happen to bump into each other, and keeping up a little through mutual friends, we had never really kept in touch. I didn’t see this as a failure on either of our parts. It was just life, and our school friendship was complete in and of itself, unchanged by the years in between and the cheery hello I received from her last week. Of course the way in which friendships like this one are rekindled is to connect over the events that our lives revolved around at that time; the place we lived, the people we knew, the food we ate etc. And so when we emailed, we both started off with “remember when?” comments. 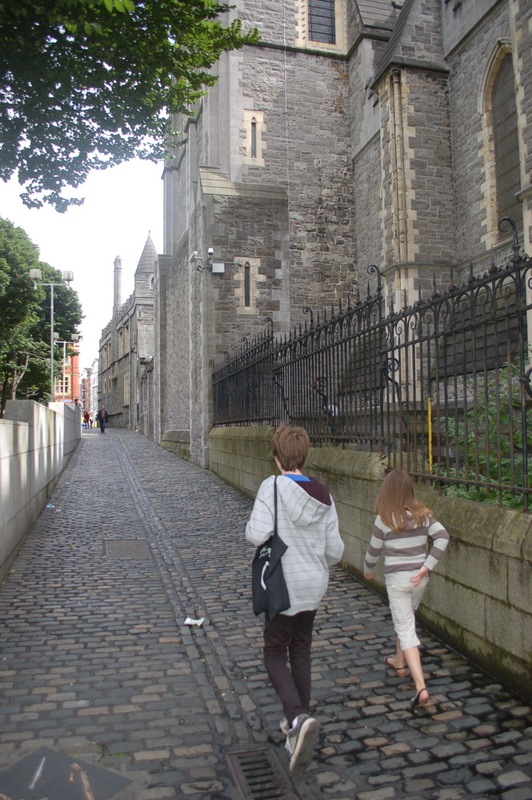 Maria’s “remember when” was about running over to get batter burgers at lunchtime! What’s a batter burger you may well ask? Basically, the Fish & Chip shop was the only place to have something quick to eat in the 1970’s through the 80’s, and was (and still is) synonymous with the last stop on the way home from a drunken night on the town. It was thought to be a good hangover cure, or at least make it more bearable. ‘The Chipper”, as any one of these places was generally referred to, was by and large run by first generation Italians in Ireland, and they had accomplished the art of frying fish, meat and potatoes (the staples in Ireland back then), in a small vat of bubbling oil to crisp perfection. 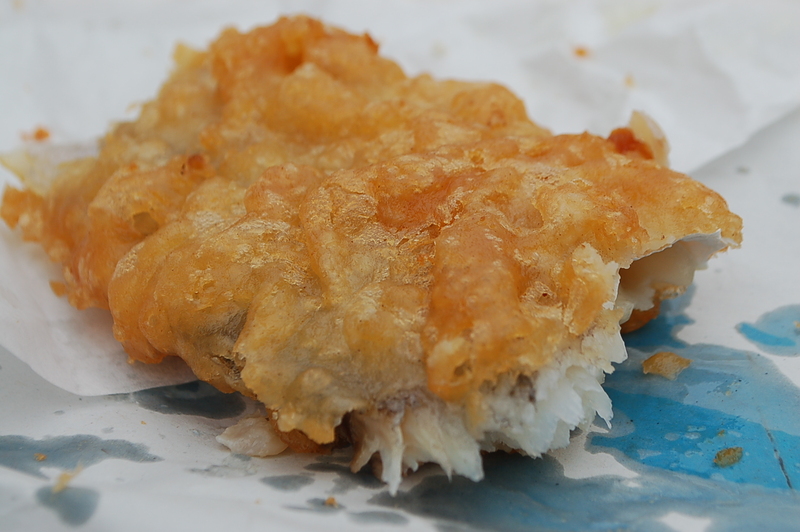 There is nothing quite like a meal of battered cod and chips (french fries) with a good soaking of vinegar. It can be such a deeply satisfying dish when eaten at exactly the right moment. The batter burger sounds awful, a beef patty dipped in dough batter and deep-fried to a golden puffiness – yep, that does sound awful, but I assure you I must have liked it at one point in my life. Battered sausages were also a popular item but I never had the nerve to try one. They looked like long blistered…well they looked pretty disgusting to me! Being reminded of foods like batter burgers made me think about the food from the Chipper that I really enjoyed. 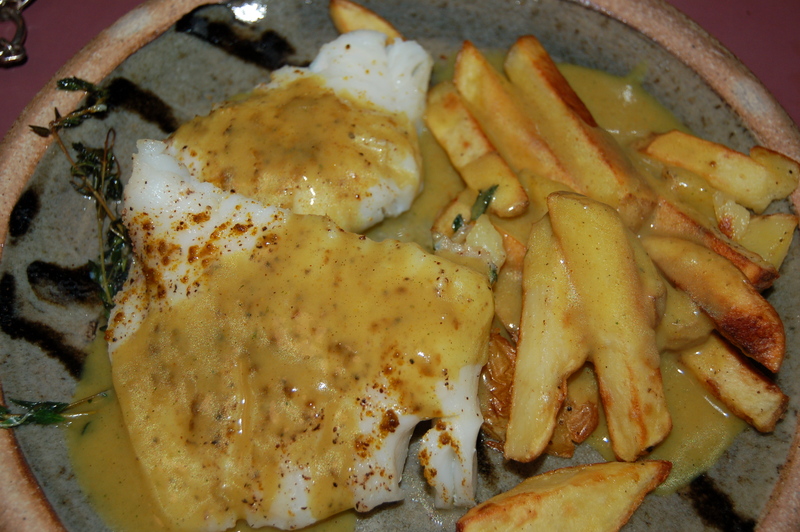 I still make Fish and Chips today (plenty of examples of this on my blog) but the memory of Curried Chips was what I became fixated on. In Ireland chips came with everything. It was simply unacceptable to serve a meal without a potato on the plate in one form or another. The Chinese restaurants that opened up were soon to learn that serving chips on the same plate as the chicken curry and rice gleaned more hungry Bar-goers and so it became common to eat chips accidentally soaked in curry sauce. 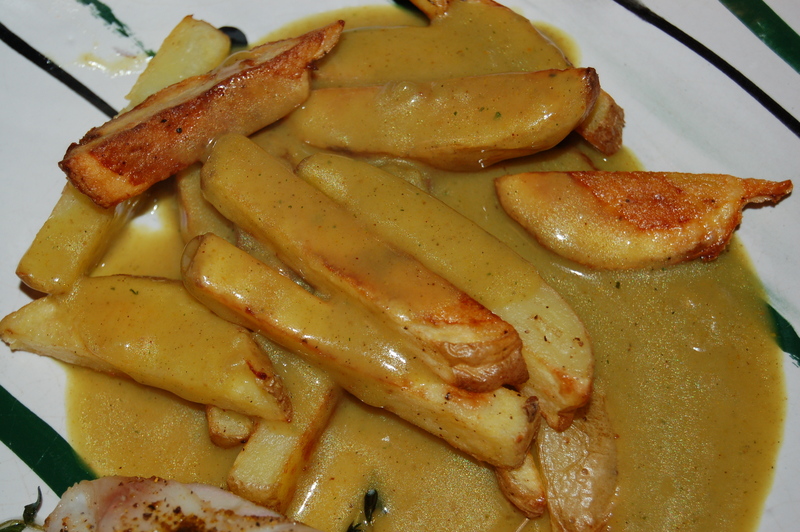 I am really just coming to my own logical conclusion that the flavor of the curry sauce on the chips was so popular it became a frequent request at the Chip Shop, and slowly but surely Curried Chips became a popular item on the menu. So much so, that along with the obligatory question, “salt and vinegar?” after your chips were hot out of the oil and in a neat little rectangular bag, you were asked if you wanted curry sauce too. It was either poured into the bag or given on the side. As messy as it was to eat, I preferred it spilling out of the bag! 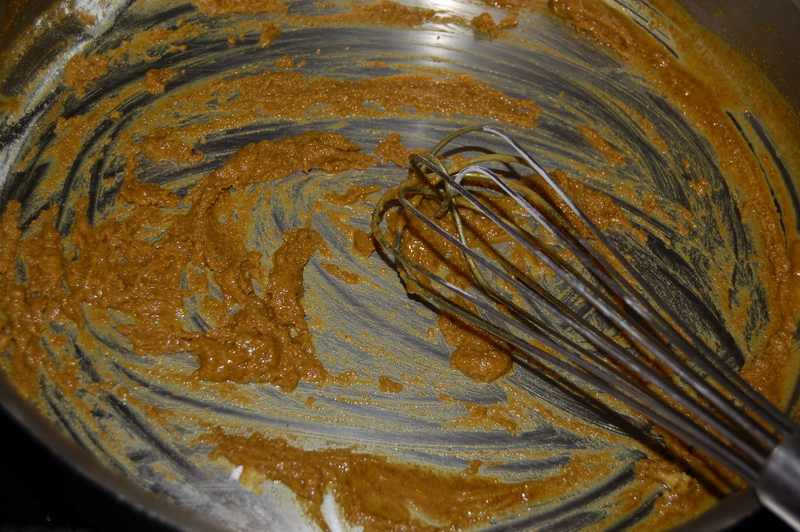 1 – Put sauce pan on medium/low heat and add the butter. 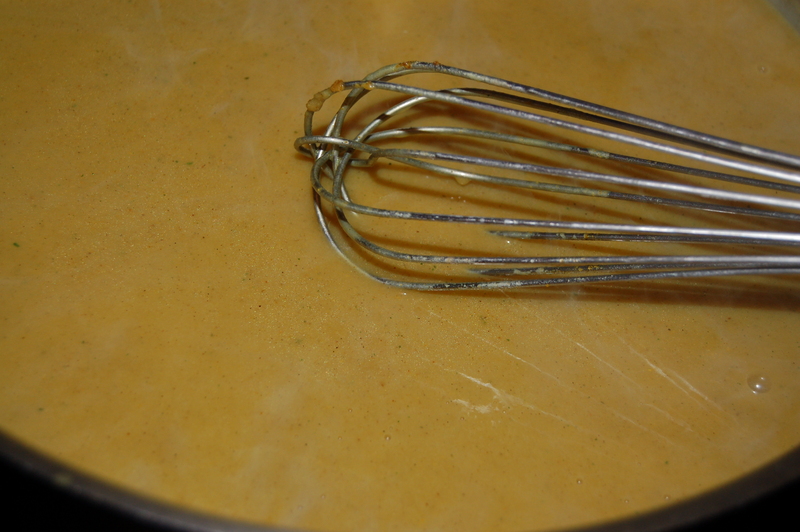 When it has melted, add the curry powder and sir until incorporated. Add the flour and repeat process. 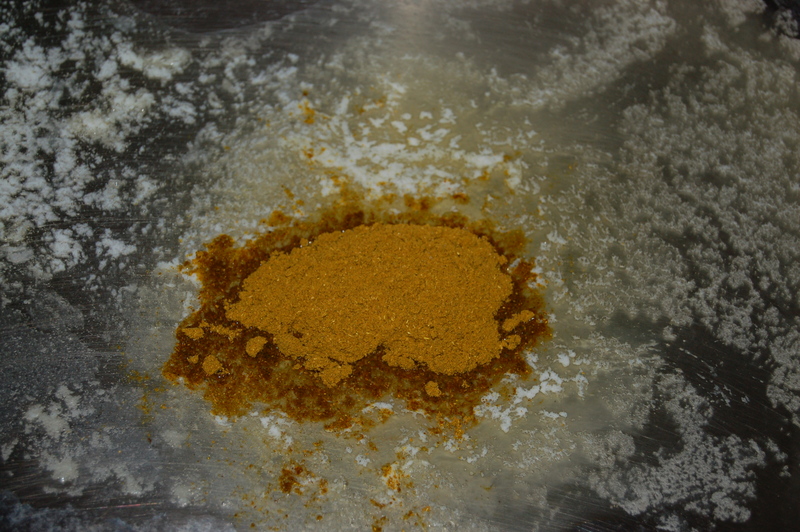 If using a bouillon cube, crumble it in, and stir well. 2 – Next add the liquids 1 cup at a time while mixing with a whisk. Cook sauce (stirring all the while) until thickened and flour and spices have cooked into the liquid, (about 10 minutes or so). Taste and adjust for salt and pepper according to your likeness. Cover and set aside. 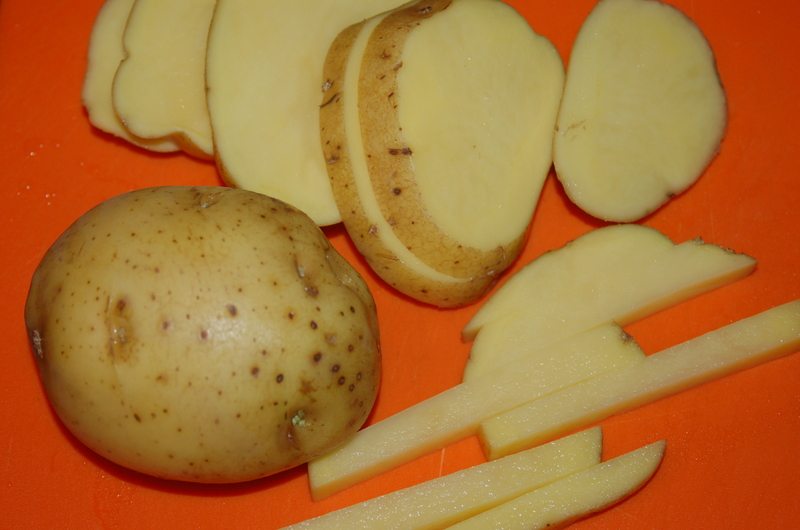 1 – Wash and dry the potatoes and cut lengthways into thick slices (3/5″, 1cm) and put in large bowl. 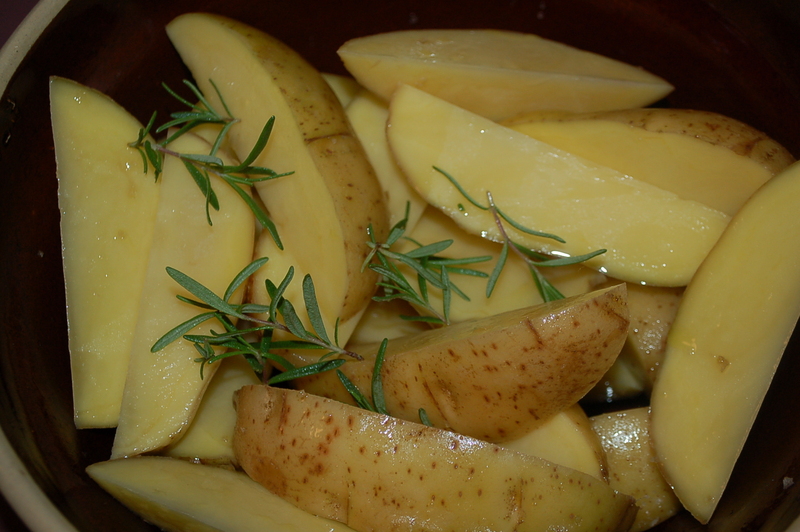 2 – Add the salt & pepper and the olive oil to bowl and mix well with hands until potatoes are well coated. When oven is hot take your big baking sheet and add 2 tbs oil to pan and place in lower 3rd of oven. From potato, to slices, to fries! 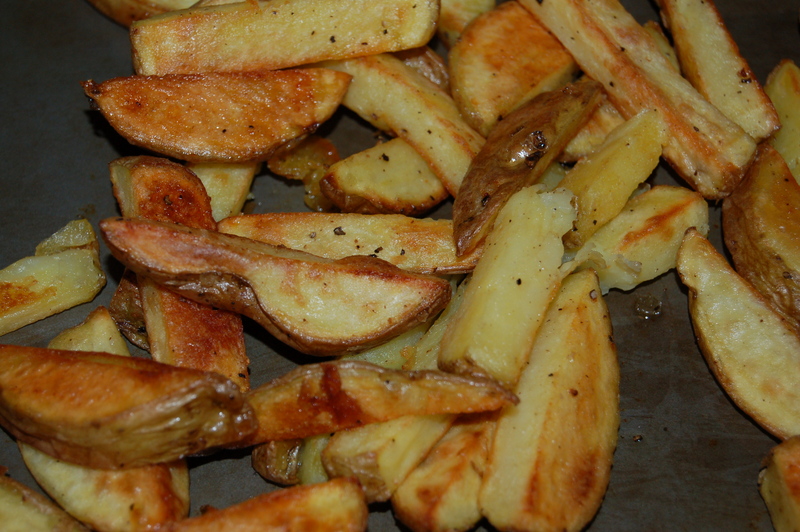 2 – Add the salt & pepper and the olive oil to bowl and mix well with hands until potatoes are well coated. When oven is hot take your big baking sheet and add 2 tbs oil to pan and place in lower 3rd of oven. Let pan warm for about 4 or so minutes. Take pan out (it will give off a bluish smoke, don’t be alarmed) and immediately pour potatoes onto pan (should sizzle). 3 – Arrange evenly in a single layer and place in oven for 20 minutes. Take out, let pan cool for about 30 seconds to 1 minute and then turn fries with a spatula (or egg flip/turner?). They should release easily….if not, put back in oven for another 2 minutes and try again. Turn and place back in oven for a further 8 to 10 minutes (peak after 8). Take out, give them a minute to release themselves and get ready to serve or keep warm as the case may be. 1 – Wash and dry fish. 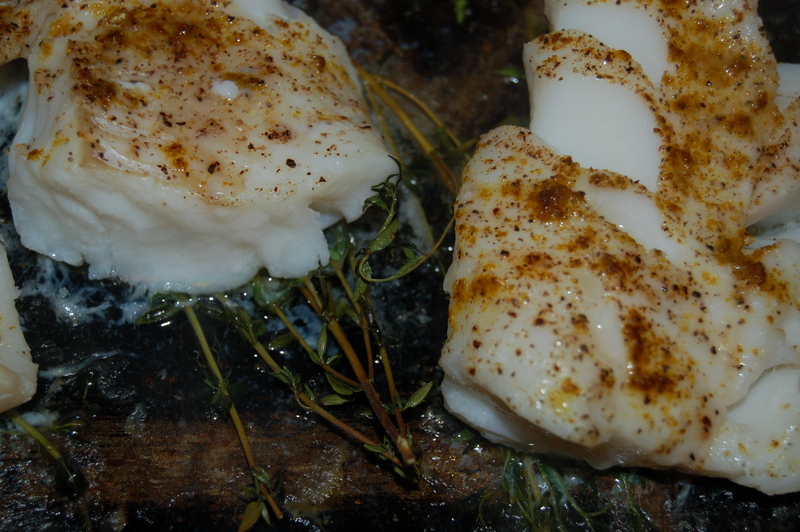 Season fish with sea-salt and pepper and curry powder. Rub a baking sheet with the olive oil and toss the thyme sprigs in the bottom in the even layer. Place the fish on top of the thyme. 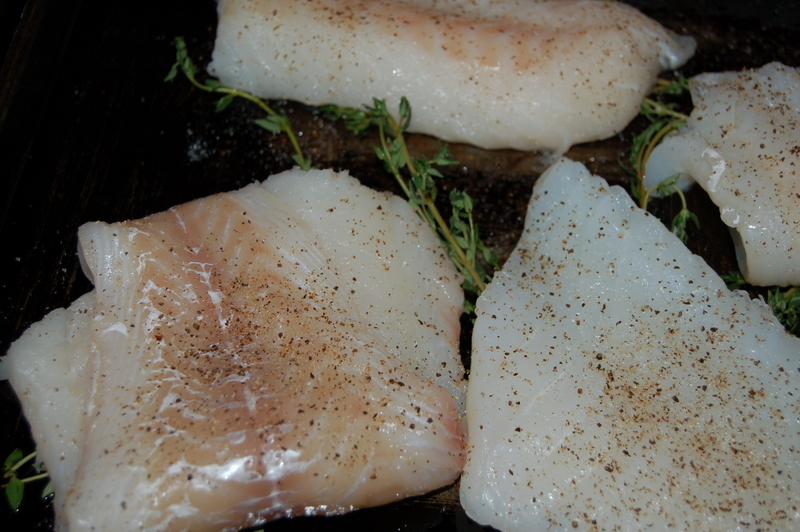 2 – Place a pat of butter on each fish piece and bake in preheated oven for about 12 minutes. Take it our of the oven and cover with foil until ready to serve. Serve this with whatever you like: if serving alone, add some lemon wedges. This is also great with egg noodles, rice and a sautéed green. 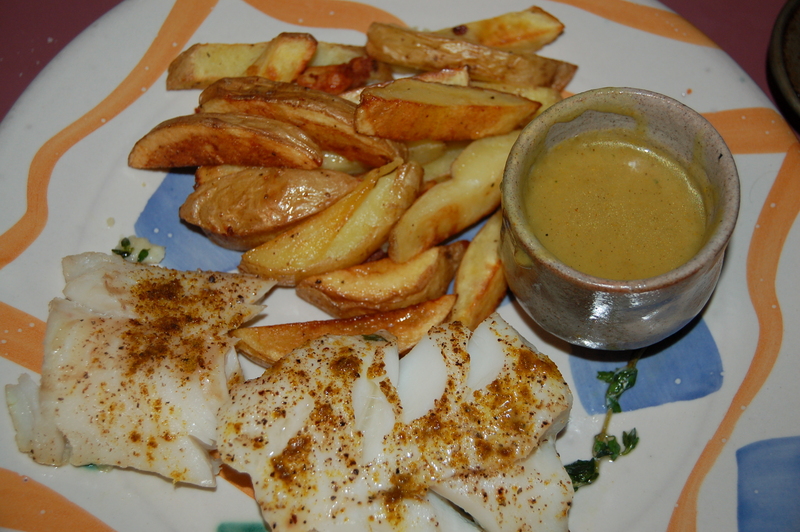 As you can see, I served the fish with curry sauce and chips – quite delish! 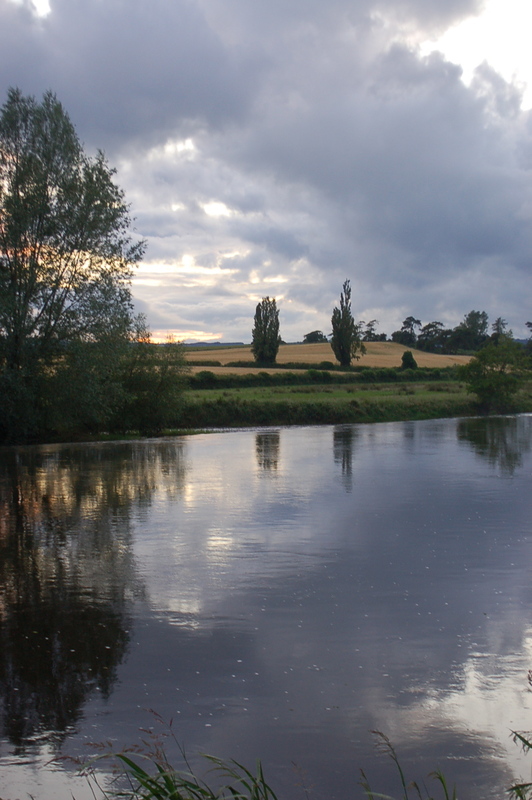 This entry was posted in dinners, Ireland, Stuff I like and tagged baked fish, childhood memory, chip shop, cod fish, curried chips, curried french fries, curry chips, curry sauce, dublin, Fish and chips, french fries, french fries with curry sauce, hangover cure, Ireland, nostalgia, River Barrow, the chipper. Bookmark the permalink. 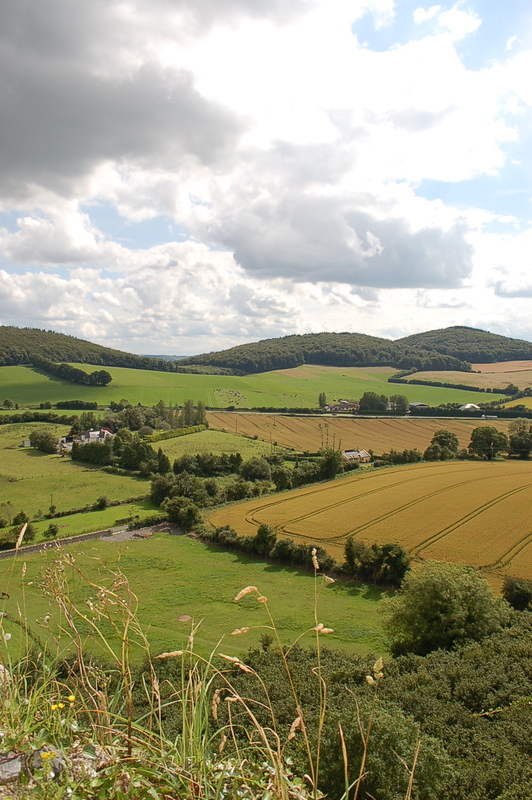 I was just in Laois with Sean & Kristi. Funny you have picture today from there.